The value of cryptocurrency Bitcoin has crashed in the last 24 hours to mid $6,000. That’s the lowest value the crypto has held in the past seven months, and a far cry from the days when Bitcoin was soaring close to a value of $20,000 a piece. 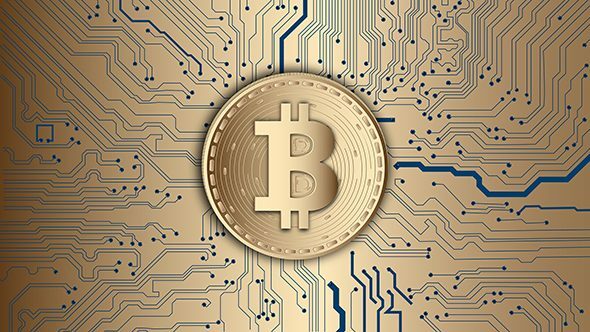 It’s not just Bitcoin that has a dour outlook, however, as many other cryptocurrencies are affected by the value of the incredibly valuable coin. While Bitcoin is down 4% in the past 24 hours, the second-largest crypto, Ethereum, is down over 9%, Ripple over 7%, and Litecoin nearly 9%. If you are looking for a way to spend your Bitcoins, then take a look at the best gaming monitors of 2018. Bitcoin has been slowly dropping toward pre-market boom levels since the beginning of the year, but some traders hope the cryptocurrency will manage to pull itself back out of this rut and return to late-2017 market highs. Many remain doubtful, however, as growing pains of the market, insider trading, federal investigation, and questions of regulation have been gaining momentum in recent months. 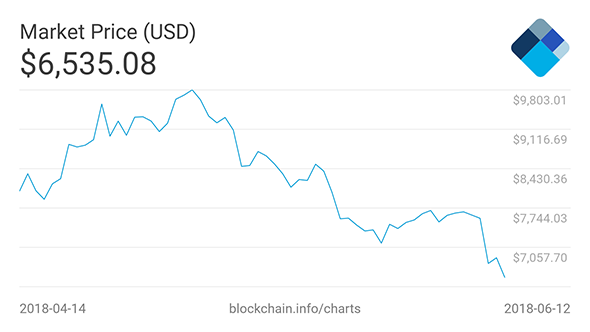 This latest value drop, however, was due to something a little more sudden than the usual peaks and troughs of Bitcoin trading. This was instead linked largely to a $28 million heist from South Korea’s Coinrail exchange. This most recent attack was confirmed via Twitter on June 10, 2018, and Bitcoin sharply declined in value following the event. Police are launching an investigation into the attack and are working with Coinrail to track the system intruders using the access history of the servers. Luckily, 70% of the coins stored on the exchange have not been affected, and the rest have been moved away as the site remains offline for the time being. These attacks have spurred on further debates regarding cryptocurrency regulation, only shortly after the US Justice department began an investigation into illicit trading across the “easy to spoof” Bitcoin market. Calls of regulation have been largely met on deaf ears due to the core principle of cryptocurrencies to remain decentralised, but pressure is rising on exchanges to act.